Data selling business is a multi-billion industry that has made several entrepreneurs billionaires over time. The truth is the telecom industry has an already available market and all you need do is to tap into it and start earning your own cool money. The reason why the Telecoms industry remains a gold mine is you have several ways you can earn from with minima stress and risk in doing business. Do you know how much the just concluded Big Brother Naija show organizers made from voters alone? Over N300,000000 just from short messages service that was used to by voters. I am telling you this so you will know that those tech entrepreneurs out there are multi millionaires. Well, that apart, let us focus on the main deal and that is showing you how you can tap into the trending business of data reselling and start making cool money like several others. Data reselling business does not require you own an office space or a personal computer. All you need is your internet connected mobile phone. WHAT IS DATA SHARING BUSINESS ALL AB OUT? We can still recall way back in 2003 when mobile phones newly came into existence in Nigeria it was just about getting your Nokia 3310 and purchasing a sim pack so you can buy recharge card and start making phone calls. It was simply about calls and recharge card buying! You and I know people are making millions of naira from recharge card printing and selling business but that is not related to Data reselling business. Due to technological advancement and introduction of High end mobile phones that allow you to browse the internet the need for data subscription skyrocketed. People need data bundles for their businesses (PC) and personal use. Every body wants to be on popular social media and like Facebook, Twitter, Imo, Badoo and Instagram to mention but a few. All these activities on the internet requires a DATA bundle that’s why you see so many people spend thousands of Naira on Data bundles weekly and monthly. Let us talk like entrepreneurs now; over 60 million Nigerians are on the internet, that means they have internet enabled devices. Now just do the simple math of multiplying an average of 1000 spent on Mega byte purchase by 60 million people. Now if you have made up your mind to invest in this business believe you me you have made the right decision. Data share or reselling business is simply about buying Data bundles from internet service providers and selling to individual internet users. Eg you buy data bundle from MTN or GLO at a discounted fee and you start selling to your friends or customers. Take for instance you buy a minimum of 10gb depending on the network provider for N10,000 and share with clients. This means you have 10gb worth of data to sell or share at 1gb each. If you the 10gb at N1,300 per 1gb, that amounts to N1,300 x 10gb =N13,000. When you remove the N10,000 being the cost of the 10gb, you are left with a profit of N3,000 from selling 10gb in just one day in this time of economic crisis. Please Note that you can actually sell close to 50gb in one day depending on how hard you work. 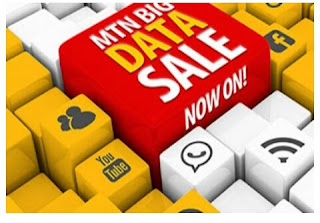 When you which to start MTN data share or reselling business you have to migrate to MTN SME data share plan. You can simply migrate by sending 465 to 131. Now that's just how simple it is to start the business.